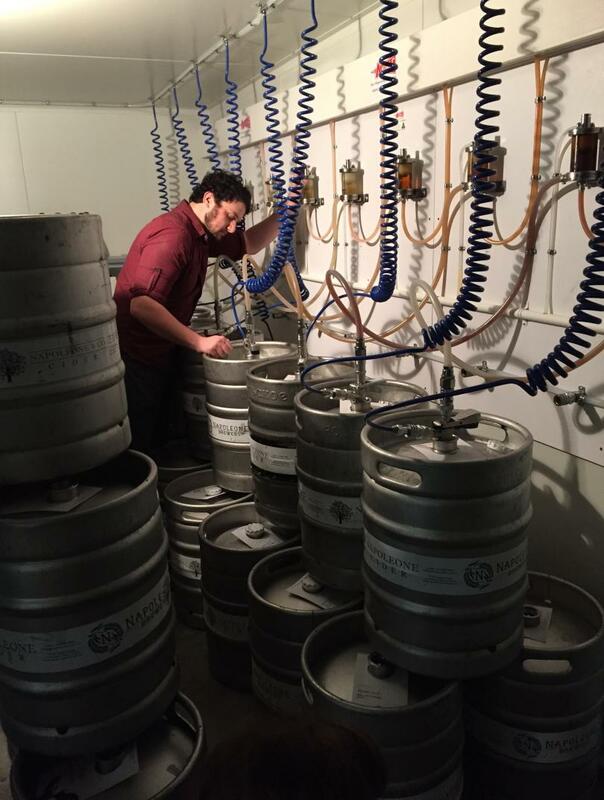 Brew Saga | one guys ongoing saga into the craft beer world. 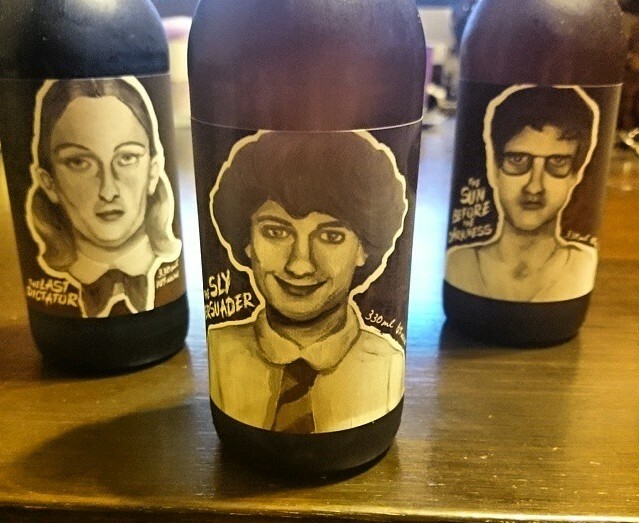 one guys ongoing saga into the craft beer world. I have to say, I have a serious soft spot for Dan Dainton. I genuinely site his brews as being one of the first craft beers that got me in to this insane game many years ago. His Red Eye Rye to me was just spectacular and I still love to drink it, it was a revelation to me. 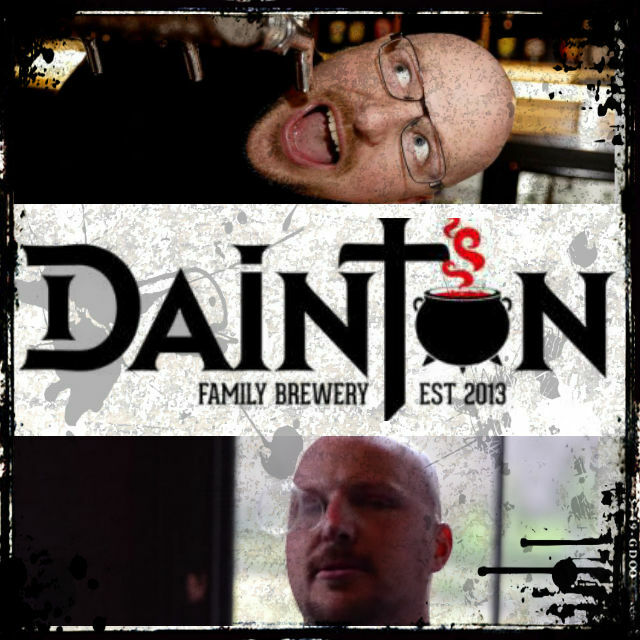 Since then, it has been an absolute joy to see Dainton Family Brewery grow over the years and see what has been coming from Dan’s addled mind. And it has all been good, damn good. His Insane Uncle IPA, Sinister Sister and Grand Pappy’s Whip Imperial Red stand out as some of my favourites, all which I have reviewed in the past. 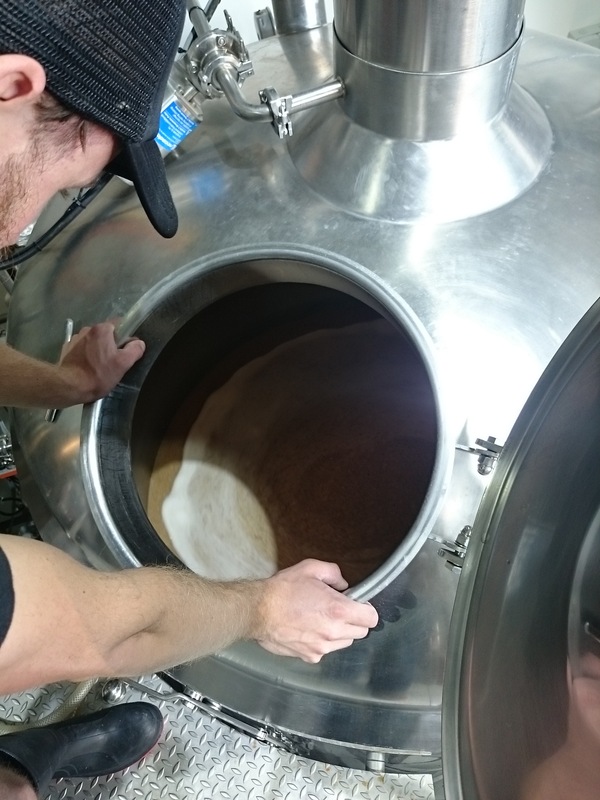 With rumblings of Dan soon opening his own brewery and taproom in Carrum Downs and giving his labels a massive over haul and relaunch, I managed to catch up with Dan for a chat about where he thinks craft is going, his rye obsession and how his family plays a part in his brews. Where did your Brew Saga begin? Along time ago, in a shed, far , far away… I was a young lad living my my uncle and Aunt after my father was betrayed by the empire and… Wait a second… He was never betrayed! You lied to my face Ben! How is the Dainton Family important to your brand? How has it influenced your brewing and style? A lot of the time they provide me with great drinking stories and reasons to drink… What, no! I don’t condone that kind of behaviour. They are not unlike most families. There is always at least one weird one and a bratty one and a evil scientist etc etc. I want people to relate to that and feel sorry for me and in that moment of empathy, consume a beer crafted in the sorrows of inevitability of woe. What was the beer that turned it all around for you? A friend had come back from overseas, which was amazing for two reasons. 1. That he was allowed to travel overseas after the visa authorities saw Shepparton on his passport and 2. That he decided to come back to Shepparton. Anyway, he brought back a swag of beers we’d never seen and I was intrigued and mesmerized by the fact that you needed a special tool to remove the beer cap. “A bottle opener”, they called it. Astounding. We cracked open the beers and I was hooked. A crisp, herbaceous, bitter, floral and probably oxidized golden liquid poured into my gullet… It was the most exotic thing I had ever seen… A green bottled beer that didn’t taste like wet hay… My first international and inspirational beer… A Carlsburg. What do you love about the job and the industry? My job is convoluted and multifaceted, being the brewer and owner. I love making beers, tasting beers, talking beers, visiting breweries, designing labels and writing the crazed little bottle blurbs. Also the mandatory GBW break dancing and lifting fellow brewers over my head. The industry is generally pretty exceptional in terms of people and passion. I will be interested to see how it copes with rapid growth of breweries and a possible lag of consumer education. It’s present in pretty much all of your brews, so what’s with the rye obsession? Where do you see craft beer and Dainton in 10 years? In pharmacies, 7/11’s, vending machines, airport, planes, busses, on the moon, on Mars… We love what the West Coast of the USA has achieved so far and want to be a big part of where Australia needs to go. Which is right where the California and Oregon are. Growler fills at petrol stations, 10 breweries in tiny towns, Stone IPA tap rooms at airports. I want that. For all of us. If you had a time machine, what part of brewing history would you go back to? I’d go forwards. It’s only getting better. What do you prefer, a fresh beer or an interesting beer? Fresh IPA’s and hop driven beers are a big part of what I like to drink on a regular basis. Give me an oak-aged 3 year old barley wine and I’ll be pretty bloody stoked. I don’t want an oxidized or infected one… Needs to be in perfect condition. I do get a little annoyed with the “drink local” mentality sometimes… I’d say drink what the bar staff recommend as fresh. If someone asked you to put a six pack together for them, what would you put in it? Dans Beer Hall of the Damned and Brewery will be opening early next year! There are some hurt feelings around today. Some people will say some things they will regret, tears will be shed and spats will be had. 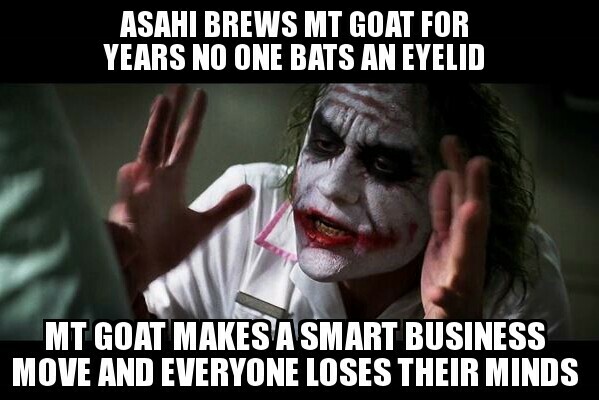 I am of course talking about the news that Asahi has taken 100% ownership of the Melbourne craft beer institution, Mountain Goat. It is not the first craft brewery to now have either partly sold or full ownership be sold to ‘Big Beer’. In recent weeks Lagunitas has sold a 50% stake to Heineken and AB InBev has made another acquisition in LA Golden Road Brewing. But I think it’s the Mountain Goat sale that has most people rattled and made people turn on what is a most loved brewery and i’ll tell you why: Brand Loyalty, more specifically craft beer brand royalty. Personally, when I first heard this I thought ‘well, that’s the end of Mountain Goat, never drinking it again’ but straight after that I thought again, ‘ hang on, how is it going to taste any different from today to tomorrow?’ The answer? It won’t. So what changed? Very simply, perception. It then got me thinking about brand loyalty, perception, business and what a serious double edged sword it can be. For the sake of this exercise I’m going to use Mountain Goat as I see it as my best frame of reference. Brand loyalty will create any business a loyal army of followers, people that will invest themselves in the brand, their ideas, their philosophy and most importantly, their product. And Mountain Goat have managed to do this for 15 years, creating some fiercely loyal followers. Their philosophy? Independent, ‘untamed’, craft beer. You know what’s not ‘independent. untamed craft beer’? Selling to Asahi. To this extent, people have a right to feel jaded about this recent deal. Such an old craft institution like Mountain Goat selling to big business is a hard blow to take for what is essentially one of the original, family owned brewers in Victoria. People have a right to be unhappy. An important thing to remember though is that Mountain Goat, along with the other high profile breweries, are a business. Dave and Cam have worked hard for decades to get to where they are and are now reaping the rewards of their success. And you know what? That isn’t a bad thing! So lets not be the bitchy exes of the craft beer relationship. Be happy for their success and when you see them in the street, don’t ignore them, ask them how they are and what they’re doing, are they seeing anyone? Also comment on how great they’re looking… Let’s face it, Asahi have been brewing the vast majority of the Mountain Goat stable for 3 years now and there has been no change in quality. It may be naive to think it won’t change now but Mountain Goat will always be Mountain Goat, a Melbourne craft beer Mecca and nothing will change that. I gotta say, this thing was sold to me when i saw the name ‘Cigar City’ on the label. For those unaware of the Cigar City brand, they are basically Florida legends specialising in the local flavour: tobacco and latino culture. This comes out in all of their brews in brilliant style, one that particularly sticks out for me was a collab they did with Amager Bryghus. Rich cigar tobacco, cherry wood, cinnamon and dark chocolate. Complex and dry. 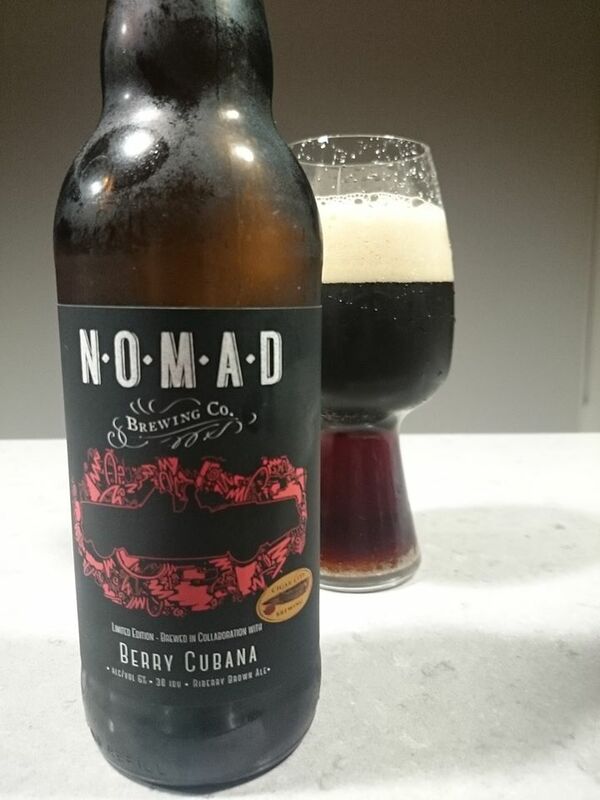 This brew in particular continues on Nomads recent run of collaborations from Good Beer Week, with brewing heavy weights such as Birra Del Borgo and Victory also contributing to the collar run. This brew once again aims to be true to local produce, using Riberry in the brewing process. Used as a bush food, riberry is a rich and spicy red fruit reminiscent of cranberry, cinnamon and clove. Sounds perfect for a brown ale! Pours a dark brown with touches of deep amber and a fluffy, compact light brown head. Plenty of burnt caramel on the nose with fresh roasted coffee, toffee, roasted cocoa and touches of clove. As it starts to come to room temperature I’m getting light sweet red fruit characters: think cranberry, redcurrant and red cherries. Nose finishes with a pithy, tobacco dryness reminiscent of lime and grapefruit. Palate is packed with tasty, roasty malt characters: roasted coffee, bitter dark chocolate (I’m talking the proper 90% stuff…), burnt toffee and cedar/ cherry wood characters. Getting notes of dried red fruits such as our old friend cranberry and touches of cherry and raisin. Lingering sweet spices tie the palate all together delivering a medium body: clove, nutmeg and candied ginger finishing off bone dry. Ever wanted to know what it’s like to cruise Miami, Florida in a Cadillac with a big, rich stogie? I’d kinda imagine it’s like this beer…A seriously dry, complex brown ale. It was a really interesting brew to watch change over time and see it develop. The addition of the riberry provides a much needed touch of sweetness: cinnamon, clove and red fruits play off tobacco, cedar and dry roasted coffee. A fantastic collaboration as you can really see the touches of both the brewers and that’s what should be at the heart of every shared brew. Seriously tasty. This is a surprising one to me for some reason. Since I started, I was typically one of those beer nerds that was always looking for the next hot thing, the next oddity, but since I have dealt with the same range for a while and benchmarked it, style has become a massive factor for me. I find myself going back to look at a lot of beers and seeing them as a style and not just for the the brewery name on the bottle or how many adjuncts can be put before IPA or Stout and I’ve been surprised by how many can miss the mark. I’d rather have an awesome pale ale that hits the mark. Seeing how a beer changes over time has been the biggest thing I have witnessed. Seeing a beer come fresh from the tank only to see it change to something else in the space of a few months is unbelievable. 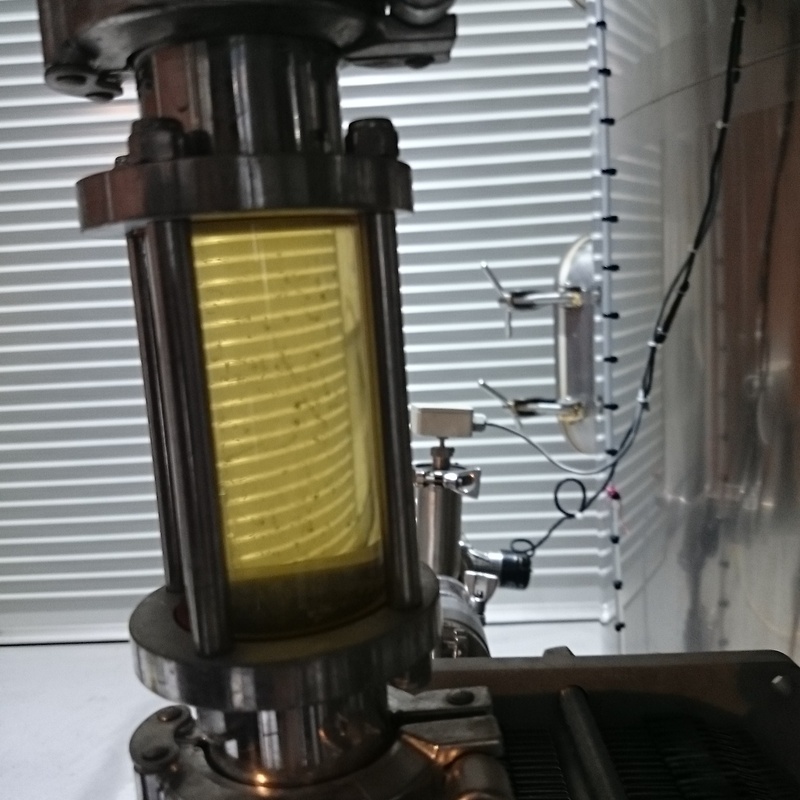 We brewed a certain something- something for Good Beer Week this year and how it’s looking now is nothing like how it started, it is now missing a lot of what made it great. It has been a bizarre experience. So, basically, what i’ve learned is you need to sell everything before it’s even brewed… Freshness isn’t a ploy used to sell more beer, it’s a real factor that needs to be considered. So drink fresh. People are starting to catch on to the craft beer movement but that doesn’t mean we should get complacent. 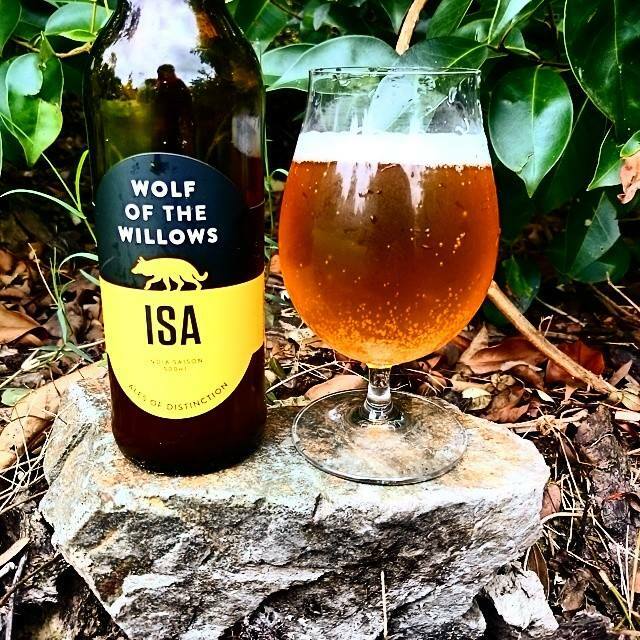 The good word of craft beer still needs to be spread and the punters still need to be educated on the difference and quality between craft beer producers and the brews coming from the big, industrial, not so crafty types. To some, beer is just beer and it falls to us to shake that trend. As important as education is, you will not win everyone around. The amount of people that come through our cellar door and don’t seem to understand what it is we are going or struggle to understand the difference is frustrating but they are far outweighed by the people that do already drink craft and do get it. Taste, as we all know, is extremely subjective, so don’t lose heart. Becoming part of the craft beer community has been the most rewarding part of the new job. Getting to know everyone, learning their stories and sharing love for craft beer is what it is all about so that is why I believe supporting local is the most important part of this list. The amount of local breweries and craft beer bottle shops is constantly growing and all of them are producing and selling amazing beers, so go out there, get to know them, their range and their philosophy. The more you talk to the producers, the better your understanding will be and the more you will learn. It all starts with your local brewer or craft shop, go out there and support them. I was pretty excited to see this limited release from Nomad. 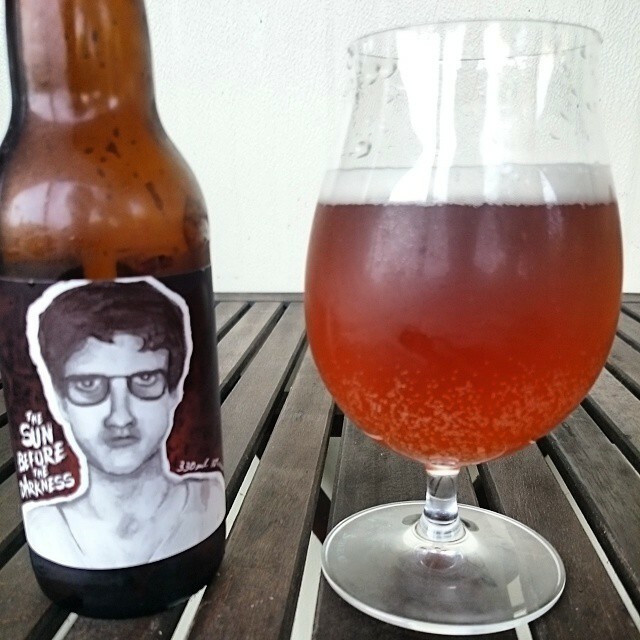 Gose (pronounced gose- uh) is a style that is very rarely seen in Australia. I’ve only ever seen it twice: Boatrocker at GABS this year with their one- off festival beer ‘I Ain’t Afraid Of No Gose’ and Doctors Orders Electrolyte Forte which was at the same festival a few years ago. I absolutely adore the style and really wish it was around more and i’m not really sure why it isn’t more widely brewed: it’s crisp, clean and a brilliant balance of tart sour and savoury. Very unique and seriously tasty. Traditionally brewed with salted water and coriander, the base is fairly basic: wheat and pale malts along with fermentation with lacto- strains and german yeast. 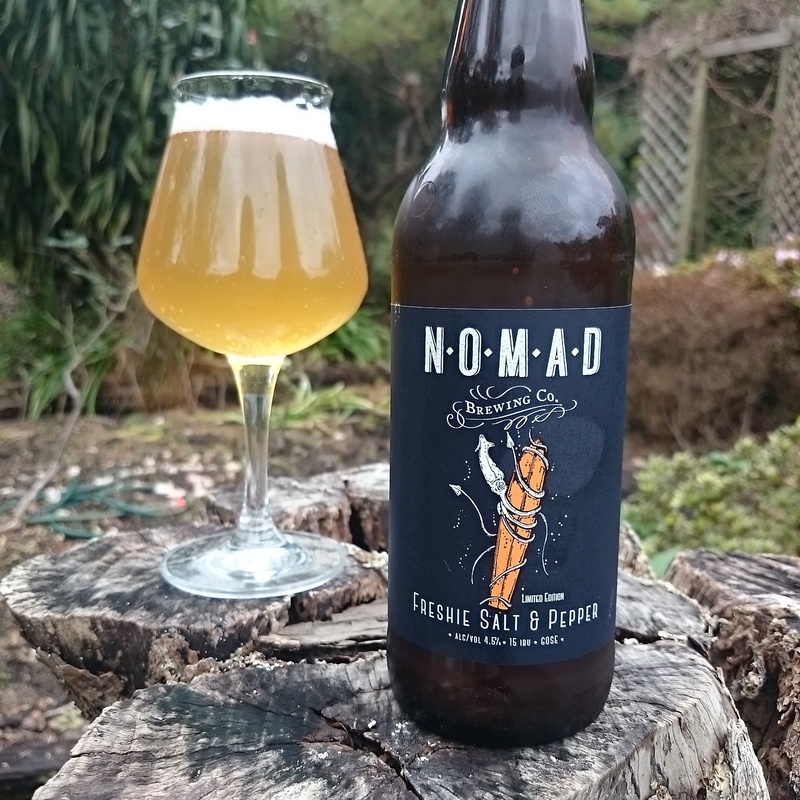 Inspired by the Northern Beaches and breathing the fresh, salty air of the ocean and wanting to put that in a glass, Nomad have stuck to the traditional with this brew and taken full advantage of their surroundings and local resources. 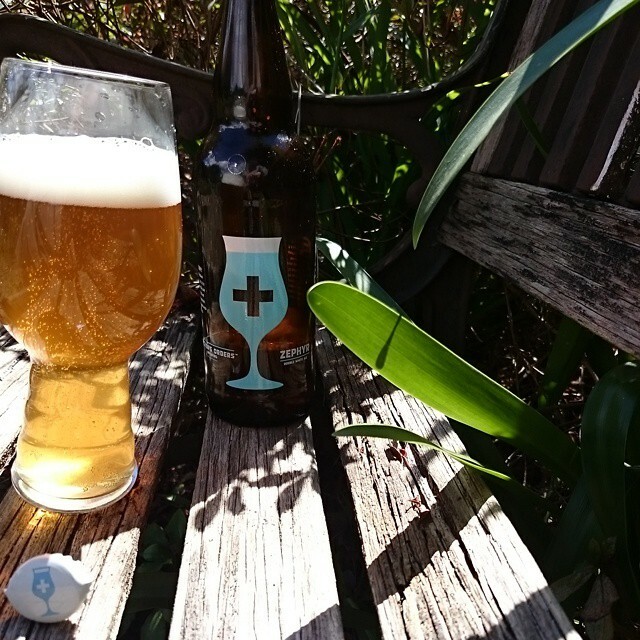 Brewing with salt water straight from Freshwater Beach right down the road from the brewery, locally sourced coriander and Tasmanian Mountain pepper they have attempted to bring the beach to the bottle… Let’s see their take on this elusive, unique style. Pours a pale orange/ lemon colour with minimal, fluffy white head. Fresh and vibrant on the nose with notes of nectarine, honeydew melon and citrus pith. Touches of coriander are coming through too with pepper spice, fresh cut grass and savoury characters. Classic Gose balance. Tart, savoury and spicy with touches of stone fruits. The salt water really shines on the palate giving it a tart, acidic, drying, savoury character with touches of pepper and coriander. Also getting nuances of tropical fruits: think pineapple, peach and apricot. Great puckering sourness throughout too with grapefruit pith and lychee. Brilliant balance all round with a crisp, dry finish. This is as traditional as it gets with clever little touches here and there. 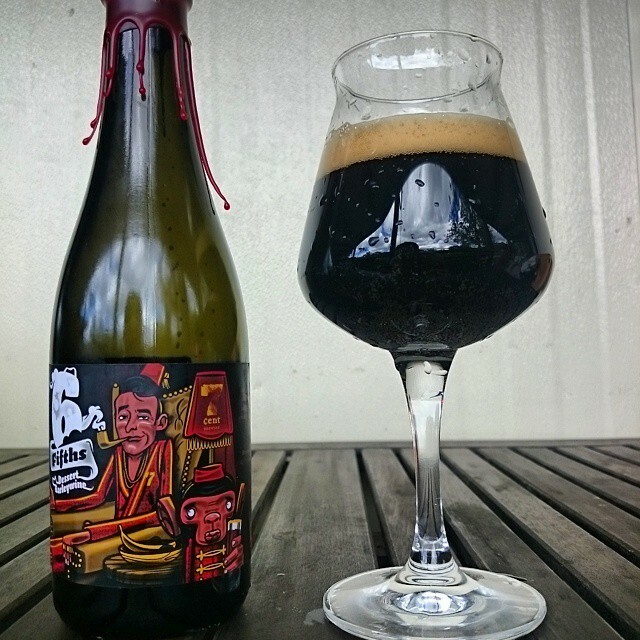 Sour, spiciness, crisp, dry and a brilliant mouthfeel that really knocks it out of the park. I really hope to start seeing more of this style around, and just more variety for that matter: it’s crisp, clean, refreshing with touches of spice and great sour tartness that hits all the right spots on the palate, puckering me up and leaving me wanting more. A brilliant take on a rarely brewed style. You gotta respect what 7 Cent do. Three mates who love to home brew and brew what they want, regardless of the consequence. Let me provide you an example of their reckless abandon approach: their first release was a 9% Belgian Strong Ale which they served through a hand pump… Now that’s an approach to brewing I can get behind! The story I love even more is how they came by their name. With no idea for names they decided to give up and blow off some steam. By burning a couch. What was left the next day was some spare change, and some old spare change at that: one and two cent pieces. And you guessed it, it equalled up to 7 cents. So now comes their barrel aged Barley Wine, and in typical 7 Cent style it is a beast and even the barrel has its own story: starting life as a bourbon barrel, it then moved to whiskey and then off to Norway where it was filled with Nogne O’s part of the Aurora Borealis then off to Beechworth for Bridge Roads end. From there the 7 Cent boys picked it up and racked in their barley wine, leaving it for a total of 18 months. It’s a brilliant story, but is it a brilliant beer? Let’s find out. Pours jet black with fine light brown/ tan head. Nose exhibits a brilliantly warming alcohol note with boozy raisins, sticky milk chocolate, burnt toffee and butterscotch, vanilla bean, roasted coffee and rich espresso with brilliant, warming whiskey and bourbon notes with oaky char aromatics. Sherry sweet and brilliant balance. Expect to find rich, sticky Oloroso sherry sweetness here with notes of liquorice, raisin, honeyed prunes and luscious sweet malts and biscuit with roast hazelnuts and almonds. Now for the finish, and this is where the barrel ageing really shines through: you’ll find drying dark cocoa tannin and smokey notes, warming whiskey, bourbon and lots of oak chip dryness with a slight vegemite saltiness. Sherry sweet, oak and honey with brilliant, warming balance. This is quite possibly the best dessert style brew I’ve ever had. Sure, sweetness is going to be expected here but with the barrel ageing there is some serious complexity driving the finish, rounding out aromatics and adding fantastic dryness. Those whiskey bourbon notes are an absolute knock out. Overall, the sweetness is brilliantly balanced with well integrated tannin dryness from the barrel ageing and a warmth spreading to you fingers and toes. Harmonious, warming and complex, it has literally got it all. Luckily for me I got myself another bottle, cannot wait to see how this looks with a bit a cellaring. With an impressive core range and some brilliant experimental stuff going on (they now have started a barrel ageing program), keeping an eye on these guys would be in your best interest. From: The guys themselves, Scotty and Renae. Thanks a tonne! Pours a slightly hazy lemon gold with fine white head. A massive, wet hop hit straight off the bat: tonnes of tropical fruits, lashings of citrus and juicy stone fruits. Think fresh lychee, mouth watering mango, sweet, tangy pineapple, peach blossom, fresh peeled nectarine, candied orange zest, lime and bitter grapefruit. A dry, crisp sweet spice finish: cinnamon, ginger and nutmeg with slight farmhouse funk in the background. The palate kicks off fresh and clean with plenty of tropical fruit bitters, citrus and sweet stone fruits. Candied orange flesh and zest, bitter ruby grapefruit, lime juice, fresh peach, tangy nectarine, juicy mango and light pineapple. Rye kicks in mid palate with slight earthy notes and sweet spices, mouthfeel is rounded out from the oat additions. Finishes off with classic dry cereal notes, drops off pretty quick though. This is the beer equivalent of Star Wars: The Empire Strikes Back for Wolf of the Willows. A brilliant sequel to an stupendous beginning and part of one of the great ongoing sagas of our generation. Some brilliant work from Scotty yet again, this one has really stepped up to the XPA and exceeded. Let us hope the next brew brings the game just as much! Pours a deep burnt orange with off white, fluffy head. Packed full of dry hop goodness on the nose: lots of candied orange zest and burnt orange, floral citrus blossom, melon and tonnes of red fruits with malty biscuit notes in the background along with white pepper and clove. Not a huge amount of fruit sweetness on the palate but plenty of cracking malt, great bitters and a soft, light mouthfeel. Lots of malty, toffee sweetness up front with roasted nuts, toast and light espresso bitters followed by some light citrus notes: think orange blossom, subtle grapefruit and candied orange zest with notes of chewy red fruits. Finishes fairly clean with medium bitters in the end. 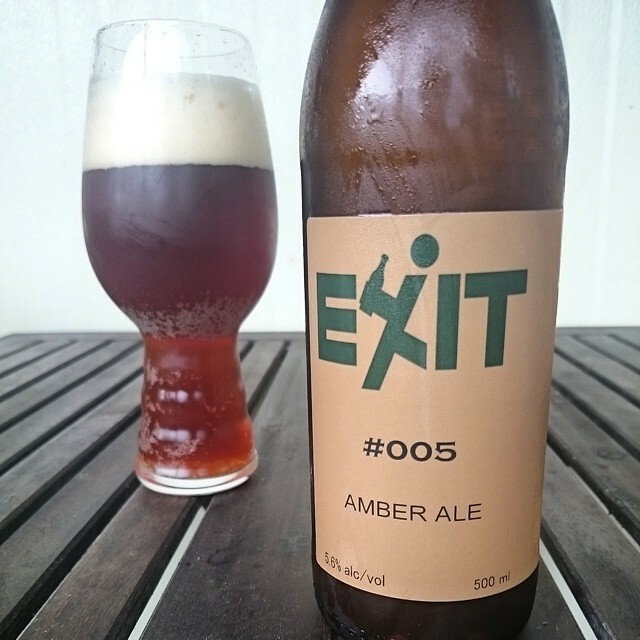 This is a fantastic addition to the Exit line up. A brilliant balance of malt and hops, there is no struggle between them, it is very harmonious for an amber. Plenty of dry hopping makes the nose pop brilliantly then balances out with sweet toffee malts. Brilliant take on the style, usually Ambers don’t do it for me but this is a massive, massive exception. Great work boys. I know I am a bit late to the party with these brews. It was kind of one of those things that has been on the back burner and then there was a new release I had to drink, and then another… You know the feeling I’m sure. The Spoonbender series is basically a collaboration series between the Yeastie Boys and other industries, other crews and people that do not necessarily think the way they do. What they are looking for is the strange. Something that may not have been thought of before because of the variance between the industry. 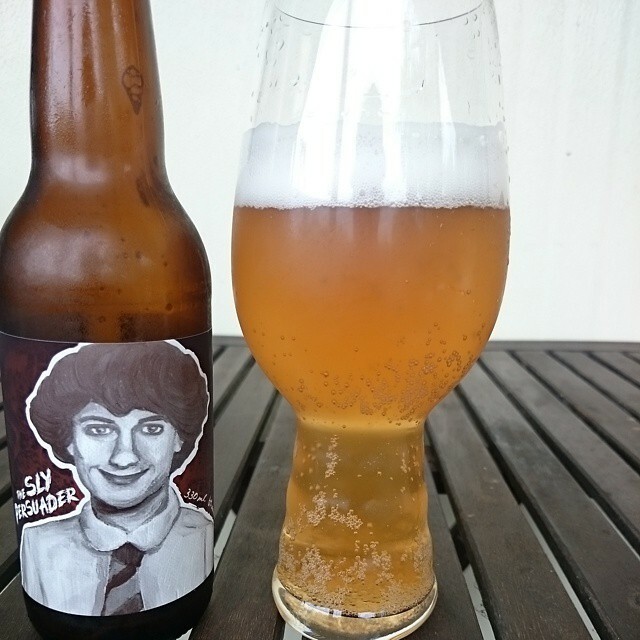 With this series the Yeastie Boys have teamed up with South Australian winemakers Some Young Punks and have used their already fermented and aged botrytis Viognier and have created a candi- sugar to use in the brewing process. What’s botrytis you say? Very simply put it’s a form of good ‘rot’ on grapes, sometimes known as ‘Noble Rot’. It shrivels and decays the fruit but at the same time greatly intensifies the sweetness of the fruit and adds some very interesting complexity. Noble Rot is found in wines like Sauternes from Bordeaux, Tokaji from Hungary and a lot of German Rieslings and are known for their sweetness, stickiness and a certain ‘honey’ quality. Candi- sugar may also be a familiar term to you as well; it is a brewing sugar used mostly in Belgium to brew styles such as Tripels and Dubbel. It boosts alcohol content without adding too much body, giving that warming, sticky feeling so well known with those richer belgian styles. So with this in mind you can already sort of form a picture of how this will translate to the beer, particularly with the styles they have chosen to brew: Pale Ale, Imperial Porter and a Tripel. So let’s kick off the series and see how it translates ourselves. Pours a pale orange lemon with minimal stark white head and fine lacing. Getting plenty of stewed apricot on the nose, fleshy orange and candied orange pith, lime zest, fresh peach and smatterings of tropical fruits: think mango, honey dew melon and lychees. Picking up faint floral notes of honeysuckle, chamomile and orange blossom with cereal/ hay dryness. Extremely well balanced pale ale here. Packed full of chewy, stewy apricot, nectarine and peach with plenty of citrus acidity: orange blossom, preserved lemon and lime juice. A slight sticky sweetness in the mouthfeel with a refreshing dry finish of honeysuckle, clove and candied ginger. A really well structured, balanced pale ale. I expected the candi- sugar to shine through a bit more on the palate but it was definitely there. I guess you don’t want to make a pale ale cloying, that kinda defeats the purpose… Plenty of sweetness shining through with slight sticky sweetness in the mouthfeel with some dried stewed fruit characters and a dry, refreshing finish. A very interesting little pale ale. Pours a deep, dark brown, almost black, with light brown tinges on the edges and minimal light tan brown head. Getting a sticky vinous grape must quality on the nose with boozy Christmas cake, rum and raisin, burnt toffee, espresso, vanilla bean and sweet, rich milk chocolate. Plenty of roasted nuts too finishing in sticky red fruits: think cranberries, currants and stewed plums. First hit on the palate is all about rich, roasted malts, espresso bitters and burnt toffee. This softens out to rich chocolate fudge, chewy caramel, vanilla bean and boozy rum and raisin with that sticky grape must sweetness returning again. Getting lots of sweet spice in the mix too: clove, nutmeg and cinnamon sticks with light star anise/ liquorice notes. Mouthfeel is rich, luscious and sticky, coating the entire palate with a hint in honeyed alcohol, just warming the mouth. This is an absolutely cracking imperial Porter. I feel the botrytis does actually bring something to this brew with that grape must quality, and it appears in every aspect. The nose certainly has a musky, sticky grape muscatel quality to it, the palate also brings a sticky vinous quality to the table too with honey beeswax characters. 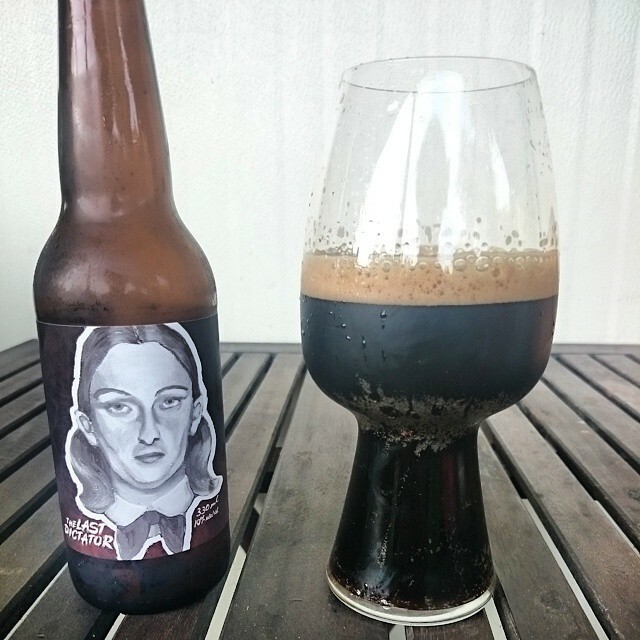 The mouthfeel is an absolute knockout for me; sticky, unctuous and all kinds of deliciousness. The label puts it perfectly, the botrytis is really ‘infused’ in this brew and plays to the strengths of the style. This brew in my opinion really hits the brief the Yeastie Boys set out to accomplish. Really well done. Pours a hazy burnt orange with minimal off white foam. Sweet as sweet can be on the nose with heaps of candied fruit sweetness straight up front. Lots of candied orange zest, sweet orange flesh, dried apricot, notes of bubblegum, citrus blossom, juicy ripe peaches and preserved mango. Notes of cinnamon, sugary caramel and vanilla in the finish. 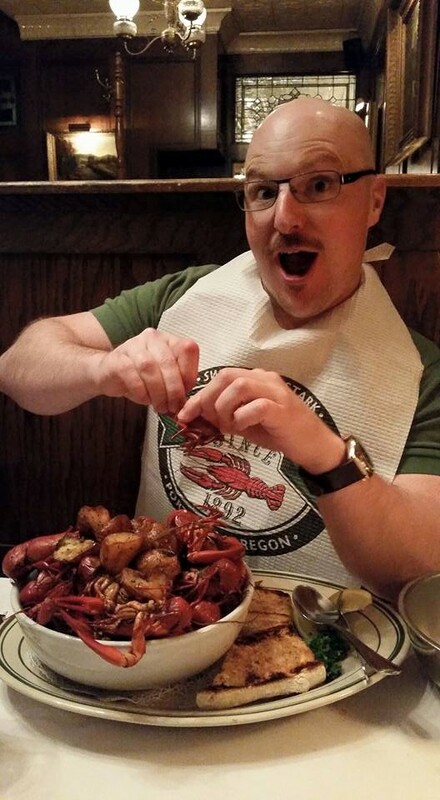 Palate is sweet, spicy and fantastically warm, spreading to all the extremities. Getting those sugary candy fruits here too: stewy orange, candied citrus pith, dried apricot, mango and a grapefruit bitterness with sticky caramel, honey notes and grape must. Sweetness gives way to warm, boozy spices and notes of cedar. Mouthfeel is silky, warming, rich and completely coating. Brilliant complexity. This one seriously hit the spot and was a clever choice to build around botrytis Viognier. Plenty of sticky sweetness with classic botrytis characteristics: almost like a good olorosso or other sticky sherry it is honey sweet and sticky with layers of complexity. I would have to say, this is one of the best Tripels I’ve ever tasted. Completely and utterly brilliant. Pours a golden orange with compact white head and fine lacing. Some amazing aromatics getting picked up in the glass. Brilliant lemon myrtle, chamomile, dry hay, green apple, juicy nectarine and fleshy peach. Getting light notes of lemon pith, orange zest, coriander and white pepper with candied ginger, cinnamon, nutmeg and lolly bananas. Classic witbier notes here, layers and layers of it. It starts with sweet juicy peaches, apricot and nectarine melding into floral lemon myrtle, fresh honey dew and candied orange zest in abundance. Finishing in dry farmhouse lees, notes of fresh cut coriander, wheat grain, star anise and white pepper.